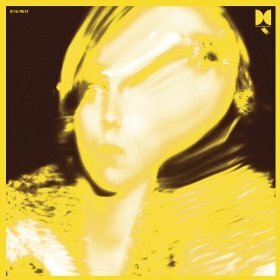 Ty Segall is an extremely prolific little fella. Just take a look at his Wikipedia page really quickly and see how much material has been released with his name attached to it. It’s astounding. In fact, Twins is one of three albums he put out this year alone. The music here is garage/psych that leans heavily into stoner rock territory. And when I say stoner rock, in this case I’m referring to FUZZ. Buckets and buckets of glorious fuzz! Segall takes pleasure in exploring the full gamut of things you can do with one or two wicked distortion pedals. On jams like “You’re the Doctor” and “They Told Me Too,” he sounds almost like Fu Manchu (you remember Fu Manchu right?). “Would You Be My Love” is dirty pop perfection, right down to the sunny harmonies, while “Ghost” is a relentless psychedelic dirge. Most of the songs on the album, fast or slow, end by being swallowed by feedback and it always feels appropriate. Near the end there’s a folky acoustic song, which is perfectly fine, but made me think, “Why here? Why now?” Then things come to a close with “There is No Tomorrow” and all is right with the world again.